The next generation of Sony's iPhone-compatible wireless camera lenses was officially unveiled on Wednesday with two new models: One with a whopping 30-times optical zoom, and another that allows users to insert any E-Mount compatible lens and connect and control it from their smartphone. Sony's new QX1 has a swappable E-Mount for different lenses. Sony's new QX1 and QX30 are both set to launch this holiday season, and connect with Apple's iPhone over Wi-Fi Direct using the company's PlayMemories iOS application. Like last year's QX10 and QX100, they are lens accessories that offer higher quality images than a built-in smartphone camera, but keep costs low by eschewing physical camera controls, instead allowing a connected smartphone to serve as the viewfinder and other key functions. The more affordable of the two items is the $349.99 DSC-QX30, which boasts a 30-times optical zoom. It captures 20.4-megapixel images with a BIONZ X image processor. Sony's new QX30 has a 30x optical zoom. It includes Wi-Fi and near-field communications for connection to compatible devices, and a built-in microSD slot allows photos to be stored on the camera and viewed and transferred to a connected smartphone as desired. The higher end model is the $399.99 DSC-QX1, which turns a smartphone into a mirrorless APS-C sensor camera. The QX1 has a 20.1-megapixel Exmor CMOS sensor, as well as its own dedicated flash module for superior low-light pictures. 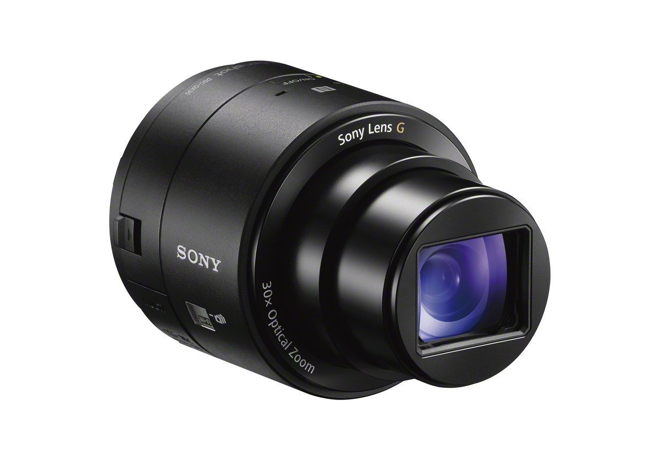 But the unique selling point of the QX1 is the inclusion of an E-Mount, which means users will be able to insert their own popular Sony-compatible camera lenses as desired. The $400 price does not come with its own lens, which must be purchased separately. The QX30 is scheduled to begin shipping in October, while the QX1 will launch in November. Both are available for preorder now. Like last year's models, both feature their own microSD card slots, batteries, tripod mounts, and dedicated hardware shutter buttons. And they attach to an expandable clamp accessory that allows the lenses to be securely fastened to an iPhone or other smartphone. 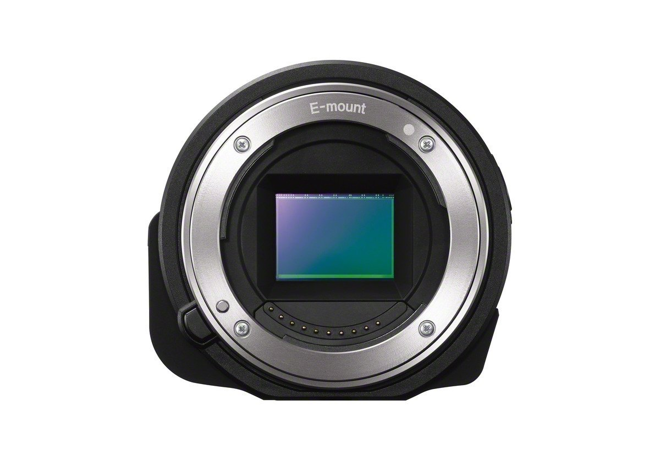 Word of the QX1 model first leaked on Tuesday, revealing Sony's E-Mount model with dedicated flash. Last year, AppleInsider took a look at both the QX10 and QX100, and found the hardware took excellent pictures that were a marked improvement from the built-in iPhone 5s camera, but Sony's PlayMemories application and connection issues marred the experience. 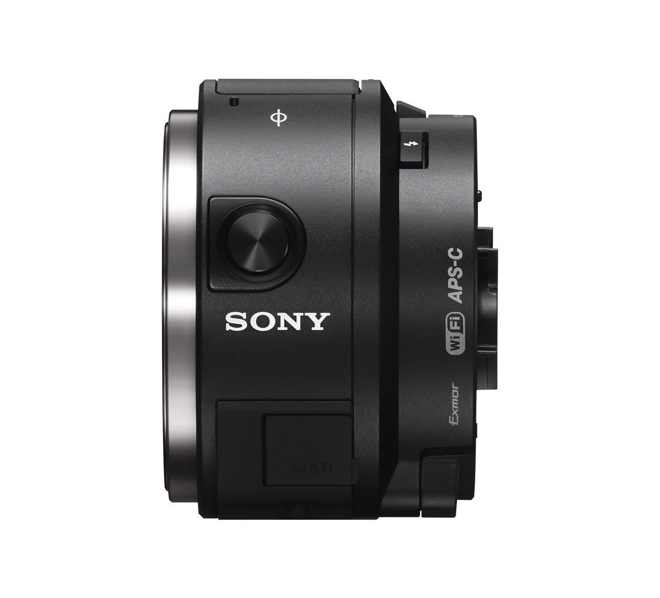 Sony has gradually updated the devices since their release late last year, squashing bugs and adding new functionality such as shutter half-press to focus, and higher-resolution MP4 video recording.